SIDNEY — The deadline for recipe submissions to the 33rd annual Sidney Daily News Harvest Holiday Cookbook has been extended to 11:59 p.m. Sept. 7. Recipes must be received by that time. Area cooks can submit up to three recipes in each of six categories. All recipes will be published in the cookbook, which will be distributed to Sidney Daily News subscribers in the Nov. 17 edition of the newspaper. Single copies of the cookbook will be available for purchase after that date. 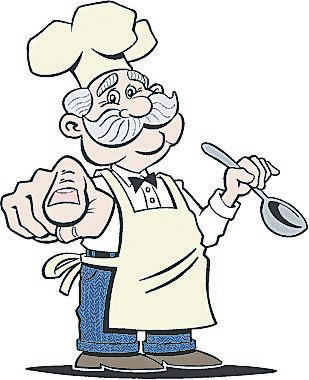 The four best recipes in each category will be selected as semifinalists in a contest, and the cooks will be invited to prepare them for a cookoff, Sept. 29. Professional foodies will judge the entries and select a winner in each category. From among those finalists, the judges will select a grand prize winner. Category winners each receive $50 cash prizes. The grand prize winner receives a $300 cash prize. The prizes have been sponsored by Daily News advertisers. • Main dishes, Flint’s TV & Appliances — meats, casseroles, soups: entrees that anchor a meal. • Desserts, Ohio Living Dorothy Love — Pies, cakes, cookies, puddings, gelatins, ice cream — it’s just not a meal without something yummy to top it off. • Scrumptious Sides, Wilson Health: Vegetables, potatoes, exotic grains and more make a plate look pretty and a meal tasty. • Pastabilities, Clancy’s: All those stick-to-your ribs, comfort food dishes that have pasta as the main ingredient. • Carry-in Faves, Gateway Arts Council: Whether you take them to celebratory lunches at work, the church picnic or the family reunion, these are the recipes everyone asks you for. And they’re not just for casseroles anymore. Finger foods, salads, snacks, sandwiches and more show up on those delectably laden tables. • Holiday Traditions, Sidney and Troy CarStar: Those special treats whose recipes have been handed down for generations — or were a big hit for the first time last year so you’re going to try them again. Clancy’s also has sponsored the grand prize. This year’s professional judges are Gary Strasser, of Anna, manager of Clancy’s in Sidney; Robert Schmiesing, of Minster, executive chef of Fair Haven; and Misty Shroyer, cafeteria manager of Sidney City Schools. All recipes must be typed or legibly printed. They must include the names of the dishes, the categories they’re submitted in, complete lists of ingredients and instructions, and the names, addresses, phone numbers and email addresses of the submitters. Emailed recipes are preferred and can be sent to SDNrecipes@civitasmedia.com. Recipes in hard copy can be mailed or delivered to the Sidney Daily News, 1451 N. Vandemark Road, Sidney, OH 45365.